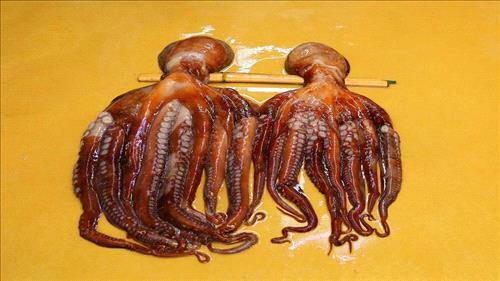 AMMONNEWS - Whether it’s spiced in the Spanish style or sliced as Japanese sashimi, octopus as a dish is becoming a victim of its own popularity. Prices for the tentacled mollusk have about doubled in the past two years due to a global boom in appetite for these classic dishes. And supplies have tightened, with fisheries not yet able to farm octopus and relying on ocean currents to yield a good harvest. The price of a regular size, locally caught octopus has risen from about seven euros to 14 euros per kilogram (from $8 to $16 for 2.2 pounds) in the last two years. The price is typically somewhat higher in other countries, like the US, that do not specialize in its fishing. The Food and Agriculture Organization says prices are expected to continue to grow as demand has risen in all major markets, including Japan, the United States, China and Europe. Meanwhile, catches have been limited, even in the biggest producing countries, Morocco, Mauritania and Mexico. Some scientists in Japan and Spain are working on techniques to farm octopus, but they are not ready yet for commercial purposes. Octopus eggs are laid on the ocean floor, where they are fertilized and transported by currents, a condition that is hard to reproduce in a controlled environment. “There is a lot of demand for this product, and what we can offer is little, so the price skyrockets,” said says Jose Manuel Rosas, president of Bueu’s fishermen guild.